Every year in the United States of America we have this little holiday called Thanksgiving. It’s supposed to be a time of reflection, gathering together with family and friends to be grateful for what one has. 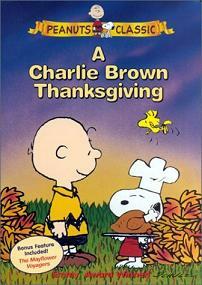 This year marks the fiftieth anniversary of the Charlie Brown Thanksgiving cartoon. 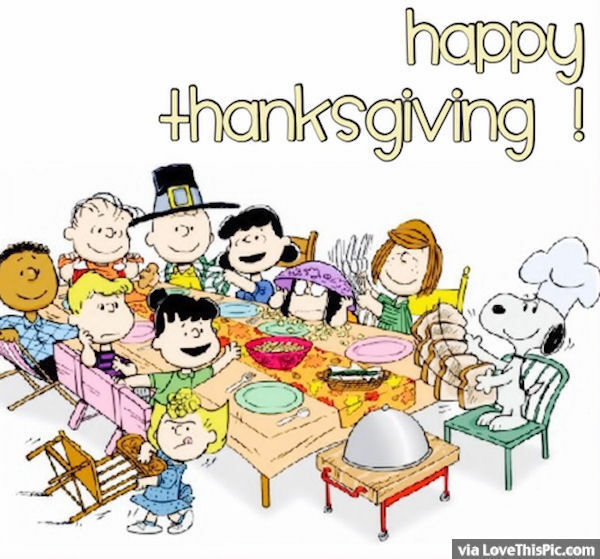 Watch Charlie Browns Thanksgiving here. 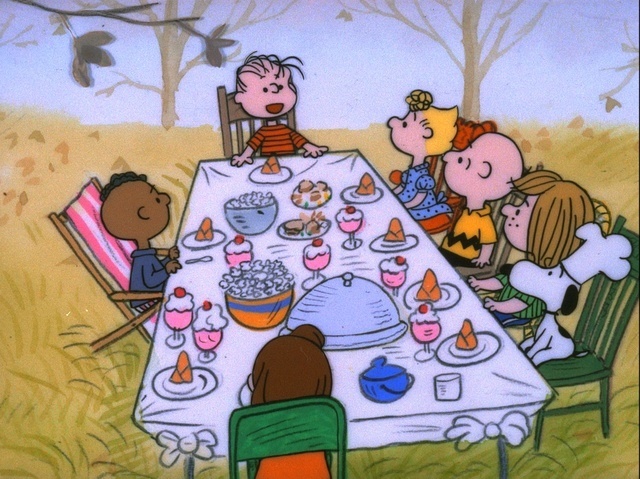 I always loved Charlie Brown and his friends as they try to have a traditional thanksgiving dinner . Snoopy does all the cooking. While Woodstock attempts to assist with the preparations . Charlie Brown of course is stuck in his usuall rut of aggravation, undecissiveness that goes along within his little part of life. His best friend Linus always maintains a positive attitude no matter what is going on. I loved this cartoon growing up because it shows us that holidays don’t have to be in the normal ways. Every nationality can come together with one mind. The mind of thankfulness . 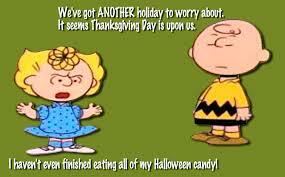 Can Charlie Brown find the things to be grateful for? I’m not going to spoil it for you just in case you’ve never seen this episode. Really there are people out there in this great big world that have never seen or heard of Charlie Brown . The one thing I will tell you is see that kid at the head of the table? That is Linus. The positive influence in Charlie’s life. Always had the one thing to say that make a person think . 1. YOU – without anyone reading my articles my words would just sit here taking up space never to be seen or shared. 2. God – Okay I know what your thinking . Why, What. Without my belief in God I don’t know where I’d be today . 3. My Husband and Family – I love my family . They make this journey through life exciting. 4. Friends – We all have friends. I have a few special ones that help to keep me somewhat level. Charlie Brown of course ! May you have a special Thanksgiving with your loved ones. Please leave a comment on two things your thankful for.